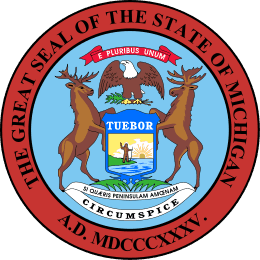 Michigan Landlord Tenant Laws are primarily provided in Michigan Legislature Act 348 of 1972, Act 454 of 1978 and Act 236 of 1961. The statutes provide terms, rights and responsibilities of the parties to a landlord tenant agreement, statutes regarding violations and penalties under Michigan Landlord Tenant Law. This information does not substitute for the legal advice of an attorney. If you have questions regarding your rights or believe that you have reason to bring an action under Michigan Landlord Tenant Law, you should contact an attorney. Stay up to date on Michigan Landlord Tenant Laws + Save money on tenant screening and other property management needs. Join AAOA today, it’s FREE! When you work with our law firm, we go beyond skilled legal representation. Our lawyers truly understand the importance of professional attention and superior client service. This means you will work directly with one of our attorneys on your matter and will have easy access to the partners and our entire legal team whenever a new question or concern arises. Our commitment to service extends beyond the clients that we counsel. We also believe in giving back to the community. Our firm provides financial support to numerous non-profits throughout the Detroit Metropolitan region and our attorneys donate their time and skill to a range of community and civic organizations. Contact Scott Galloway or Howard Collens of Galloway & Collens at 248-545-2500. Within four days after termination of the tenancy, the tenant must provide the landlord with a forwarding address. If the landlord claims the tenant caused damages to the premises, the landlord is required to provide the tenant a notice in writing within 30 days of termination of the tenancy. The notice itemizes each deduction from the security deposit, “including the estimated cost of repair of each property damaged item and the amounts and bases on which he intends to assess the tenant.” The remaining security deposit amount is sent to the tenant with the itemized deductions for damages notice. A tenant must respond within 7 days whether the tenant agrees or disagrees with the itemized damages notice or will forfeit their rights to challenge the alleged damages. If a landlord fails to provide written itemization of alleged damages within 30 days of termination of the tenancy, the landlord must forward the entire security deposit to the tenant. Demand for possession and recovery of premises When a tenant is in arrears of rent payments, the Michigan Landlord Forms past due rent notice, pay rent or quit notice or notice of termination of tenancy are all ideal for compliance with 600.5716. This statute states that the demand for possession “shall be in writing, addressed to the person in possession and shall give the address or other brief description of the premises,” along with reason(s) for the demand and the time to take remedial action and amount of rent due. Dating and signing the forms will help make it enforceable under Michigan Landlord Tenant Laws. The Revised Judicature Act of 1961, Act 236, Chapter 57 provides that possession of the premises is not to be granted if a tenant has complained to a government agency or exercised their rights under the rental agreement. The demand for possession cannot be an act of retribution against the tenant for joining a tenant group or for other reasons specified in the act. If recovery of the premises is granted for legitimate reasons, the judge normally issues a writ of restitution, makes a determination if past due rent or other monies are due to the landlord and determines the exact amount due. Tenant under apprehension of danger If a tenant or the tenant’s children are victims of or in danger, 554.601(b) specifies that “a tenant shall be released from his or her rental payment obligation in accordance with the requirements of this section after submittal of written notice of his or her intent to seek a release and written documentation that the tenant has a reasonable apprehension of present danger to the tenant or his or her child from domestic violence, sexual assault, or stalking.” The tenant must provide notice by certified mail. If the rental agreement does not contain a statement that a tenant in danger may have statutory rights to seek a release of rental obligation under this statute, the landlord is required to post the notice in a visible location in the property management office or to provide written notice to each tenant when the lease is signed. Michigan Tenant Screening allows you the opportunity to weed out unqualified prospective tenants, while Michigan Landlord Forms provides you with essential forms under Michigan Landlord Tenant Law. Abide by your rights and responsibilities to increase the likelihood of a smooth landlord tenant relationship. Have you read our page about Michigan Tenant Screening Background Checks? Here you’ll find useful information on how to properly screen your tenant. Michigan landlords require a multitude of property management forms and tenant rental applications to manage their rentals. Click on Michigan Landlord Forms now to learn more about the importance of this process. Michigan, like the other states in the U.S., have their own set of landlord tenant laws. With the American Apartment Owners Association you’ll find detailed pages on landlord tenant laws for all 50 states. Use the list of states found below to visit a landlord tenant law page. Or you can visit the homepage of landlord tenant laws by clicking here.